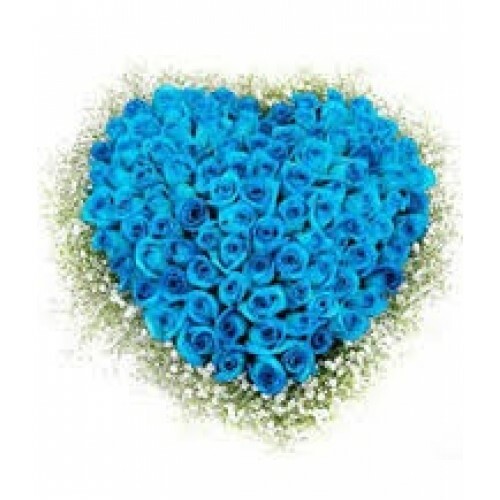 A Large Blue rose heart arrangement, around 70-80 roses go into this beautiful item.. It is on a large heart base and has white gyp around the edge. Hand made by our florists this is a lovely item.